← Building Oak Haven – Sold! 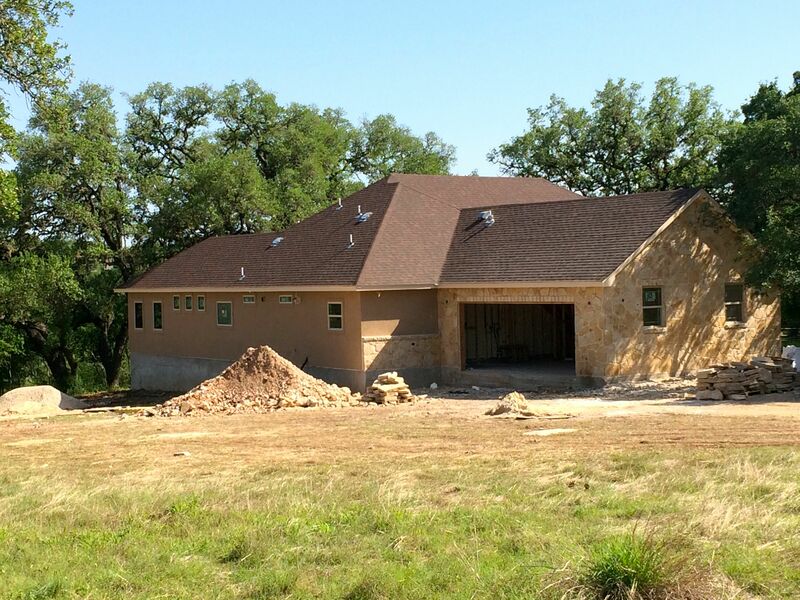 JDR Construction finished up the exterior masonry, both our stucco and our rock. We love how it all came together. As the masons hung the rock we could tell Chunks of flint filled the layer from where our rock was cut. It gives us an authentic feel for the local area (chunks of flint can be found all over our property). Fry Roofing also finished up the last details of the roof. Last week we finished packing out the final bit of the house on Mountain Brook. 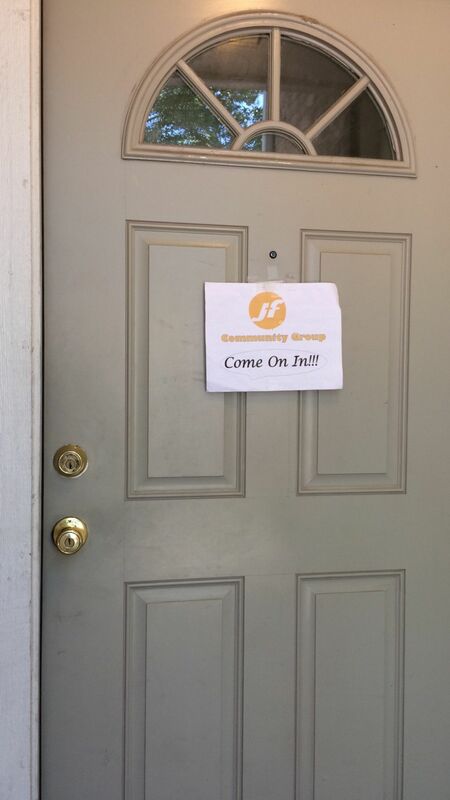 We saved a few things until Friday (like the rug, TV/DVD player and folding table and chairs), because on Thursday evening we hosted our community group for the last time in our Schertz home. What an amazing 5 1/2 years. The house has been an awesome blessing filled with incredible friends who have prayed with us, worshiped with us, studied with us and most importantly shared their lives with us. I know our new home promises more blessings to come. So glad we can continue to worship and share our lives with many of the families. 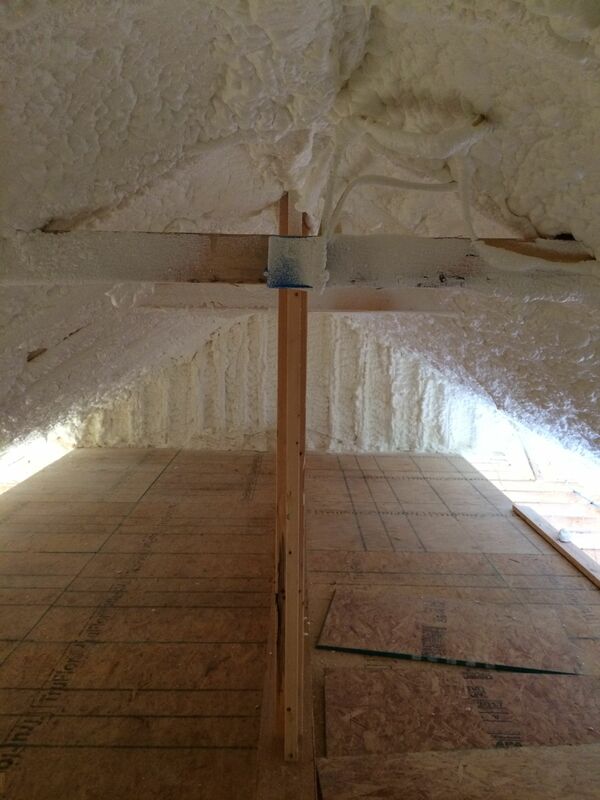 Boerne Construction Spray Foam sprayed out the house with foam insulation. 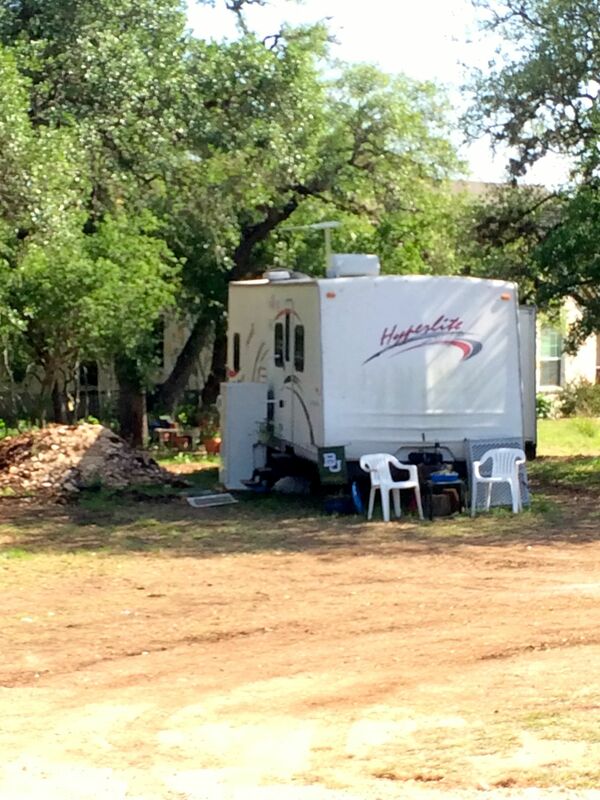 They had a few issues with equipment along the way, but we now have a very climate controlled home. For a little extra, they also sprayed out the garage. I took a picture in the attic and it revealed this picture. God’s Word Lies in our foundation and fills our framework and now we have the reminder of the cross above us. 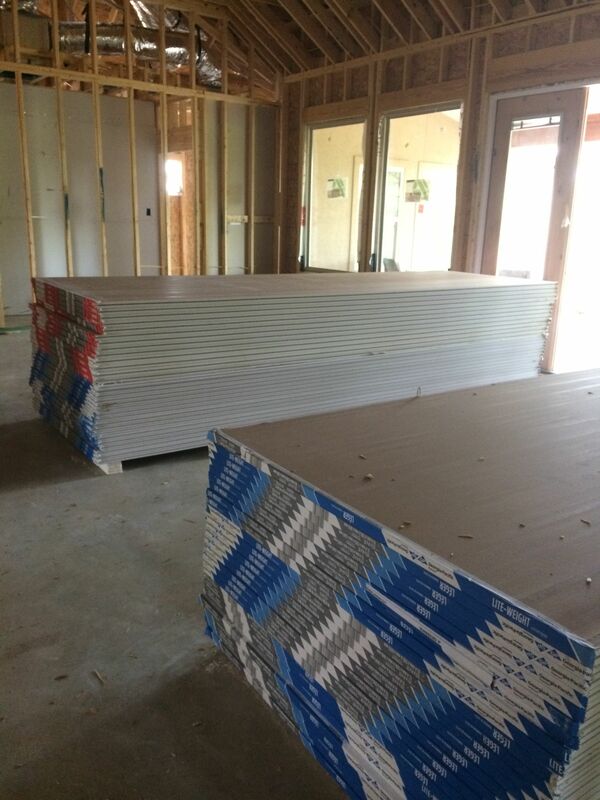 Unique Drywall delivered the sheet rock. They are supposed to start this week, hanging, taping, floating and texturing (monterey drag). Before we know it, we’ll be breaking out the paint rollers and brushes and getting to work. 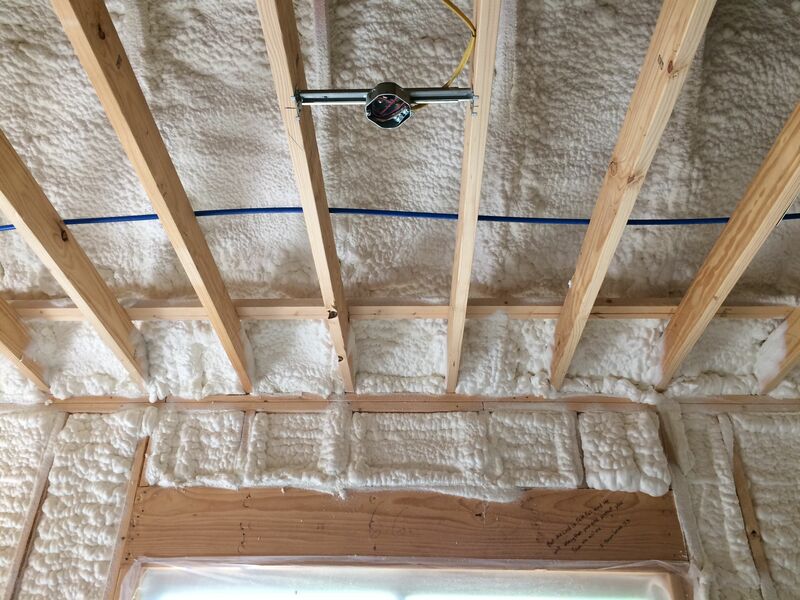 This entry was posted in Hill Country Living and tagged Boerne Construction Spray Foam, Country Living, Fry Roofing, JD Rameriz Construction, River Chase, Texas Hilll Country, UBuild It. Bookmark the permalink.